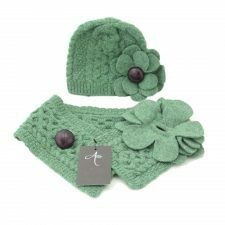 A beautiful lambswool traditional Aran knit beanie hat and collar scarf with a contemporary twist. 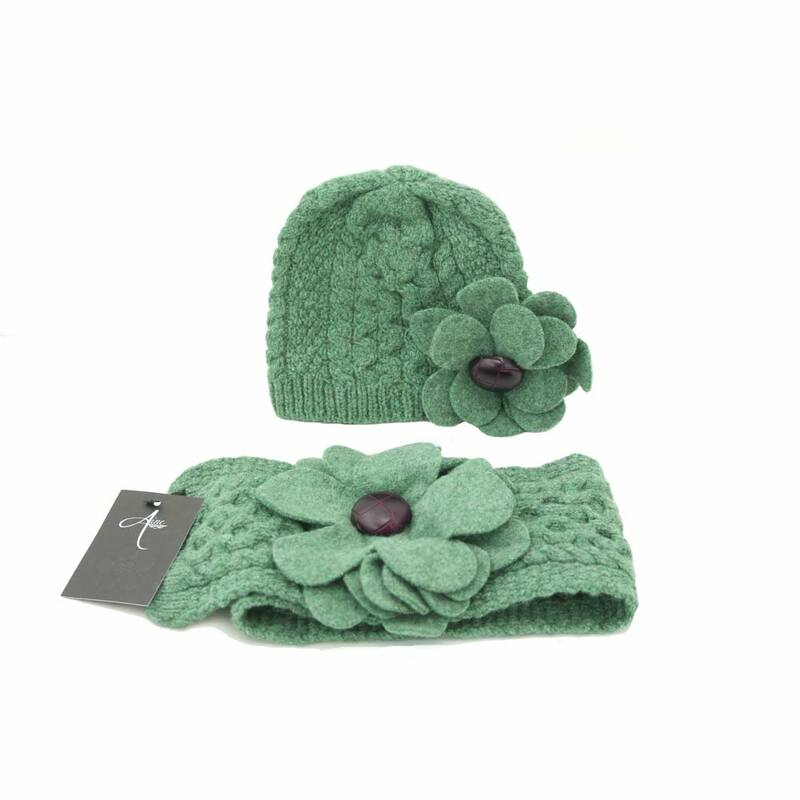 This is a top quality Irish beanie hat and Irish scarf in a beautiful soft sage colour. Long lasting and stylish, this is a great Irish gift. These beautiful Aran Irish hats and Aran Irish scarves make wonderful Irish Gifts, created by Áine’s Design Knitwear (McConnell Living Knitwear), Co. Clare, Ireland. Made from 100% Lambswool, this lovely soft Aran beanie hat and collar scarf has a beautiful sage colour and is very comfortable to wear. 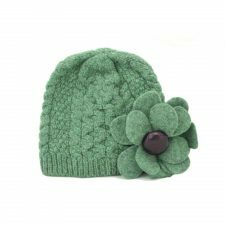 Aran beanie hat: a beanie hat knitted in a traditional Aran knit, with a special detail to one side of a large flower with a brown 100% leather centre. 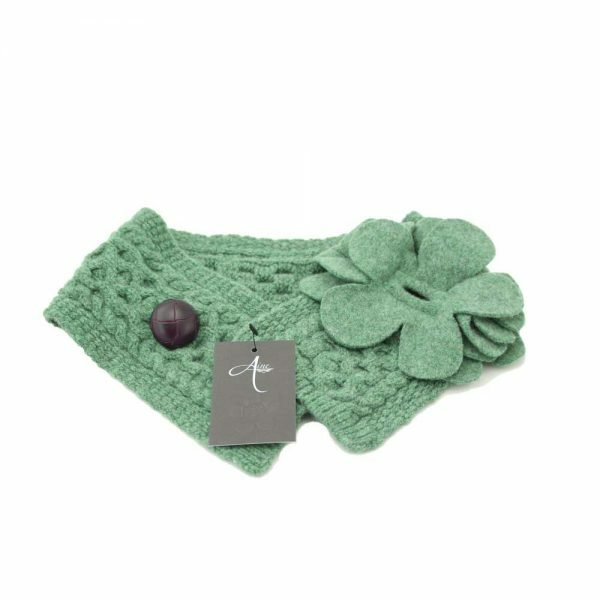 Aran collar scarf: a collar scarf knitted in a traditional Aran knit, this scarf pulls through itself to close, positioning the knitted flower in the centre. In the middle of the flower is a 100% leather brown button.